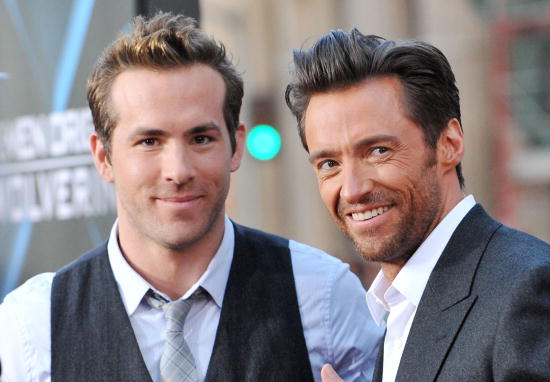 The online ‘feud’ between best pals Hugh Jackman and Ryan Reynolds has lived to see an other day so we can all breathe a sigh of relief. The pair have been throwing digs at each other for at least a year now, with each of them refusing to spare the other’s feelings with their sarcastic quips and hilar jibes. Oh, and sometimes they involve Reynolds’ wife Blake Lively in some way. And now it’s Hugh’s turn to get in on the action, as the actor posted a picture of the (not so) loved up couple to his social media yesterday (December 18), telling Reynolds off for his bad behaviour. The picture was taken at Laughing Man Coffee Company, which was founded by Jackman as a way to support coffee farmers in lower income countries. Let’s be honest, we’ve all been there; sometimes my boyfriend annoys me so much I just pretend he’s not there for a couple of hours. Sorry, not sorry. 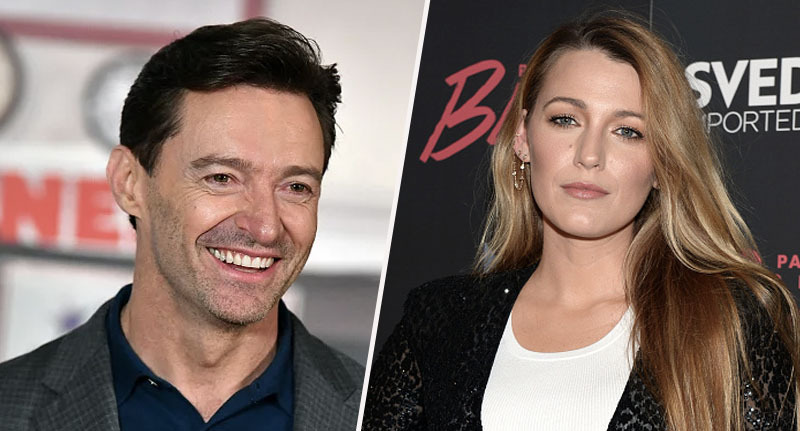 The Wolverine actor promised Lively free coffee for life as a result of her husband’s behaviour inside the coffee shop. Our policy at @laughingmanco is to make people happy – not drive them insane. Exhibit A = @VancityReynolds. @blakelively your coffee is on the house … forever. Seriously though, how much would you want to be a fly on the wall when these three are together?! Maybe if I ask nicely enough they’ll adopt me into their trio. Please? Pretty please with a cherry on top? This tweet is just the latest in a series of jibes the two actors have been throwing at each other over the past year – and I’m living for it. To be honest it all seems to revolve around Jackman’s refusal to merge the worlds of Wolverine and Deadpool together, which appears to be Reynolds’ lifelong dream. Most recently, Reynolds responded to reports that The Greatest Showman actor had yet again refused to partake in a Deadpool/Wolverine crossover movie via Twitter. I see @RealHughJackman is no longer allergic to selfish. It all began when Hugh appeared on Sunday Today to discuss the possibilities of Wolverine’s return with host, Willie Geist. Oh, Wolverine will be back. Someone’s going to buy him, I don’t know. To which Geist responded, asking ‘not you though?’ At this, Jackman replied by throwing cold water over any hopes of a Wolverine/Deadpool collaboration. No, but Ryan [Reynolds] is relentless. He keeps coming back to me in all these ways, shapes and forms. I just said, ‘You know, I just don’t think the world really wants to see Deadpool with Wolverine.’ Maybe a cameo from Deadpool? I just think it runs over it for Deadpool. Clearly, Reynolds wants the two worlds to collide but Jackman’s having none of it. Ah, well. As long as they keep publicising their ‘feud’ on social media I’m happy.